Recent Patents on Mechanical Engineering publishes full-length/mini reviews and research articles that reflect or deal with studies in relation to a patent, application of reported patents in a study, discussion of comparison of results regarding application of a given patent, etc., and also guest edited thematic issues on recent patents in the field of mechanical engineering. 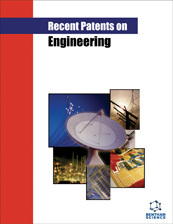 A selection of important and recent patents on mechanical engineering is also included in the journal. The journal is essential reading for all researchers involved in mechanical engineering. 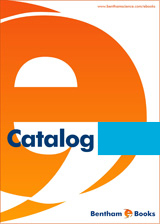 The journal also covers recent research (where patents have been registered) in fast emerging analytical methods, designs, manufacturing and analysis of automobiles, aircrafts, aerodynamics, manufacturing plants, industrial instruments, industrial fluid power and control, machines, mechatronics, biomechanics, robotics, robot rehabilitation, lubrication and wear, acoustics and noise, heating and cooling systems, solar energy, turbines, vibration & control and processes involved and related to mechanical engineering. Recent Patents on Mechanical Engineering was introduced in 2008 with the assistance of Dr. Khurshid Zaman , who is the current acting Editor-in-Chief since 2008.